carlyklock: tell me about europe. So The Stallion and I have made a deal. We've come up with one absolute, must-do thing before we start a family. Neither of us have ever been; both of us want terribly to go. I think it makes sense. The likelihood of us traveling to Europe and seeing it as we want to see it post-kiddos is virtually non-existent. Unless we're the type of parents that could leave our young children for weeks while we take the trip of a lifetime, we'll be old and tired by the time we'd be able to go. We'll never be old and tired, but you know what I mean. We were going to knock 2 items off of the bucket list and have our trip coincide with the 2012 Summer Olympics in London, but I was preoccupied with wedding planning and didn't get our ticket request in in time. When they opened up tickets to the masses, all that was left was boxing and weightlifting. Or, you know, one of their 5-figure hospitality packages. I'm sure we could manage to get some tickets to an event we'd actually enjoy attending, but I'm not sure I want to pay a premium, and I'm not sure that it would be worth battling the crowds. Would it? So, that's where you come in. We need help planning our trip. I have a million questions. Should we cram in as many destinations as we can, or focus our trip so we really get to know just a few places? What's the best way to get around? Should we rent a car and drive from Paris to Nice for part of it? 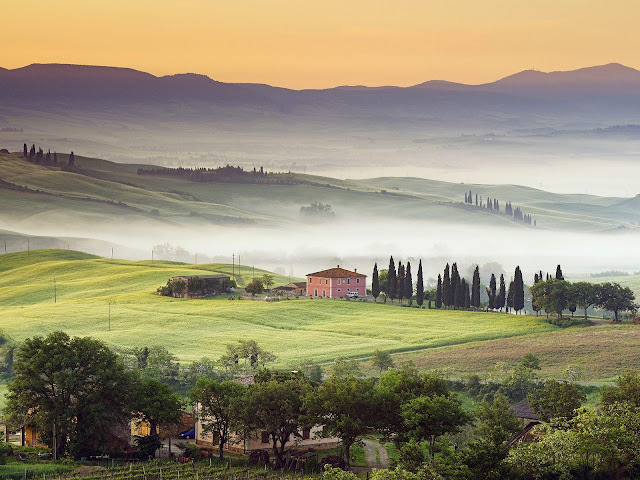 Or through Tuscany? Paris to Nice would wind up being a pretty solid week: Paris>Lyon>Aix en Provence>Marseille>St. 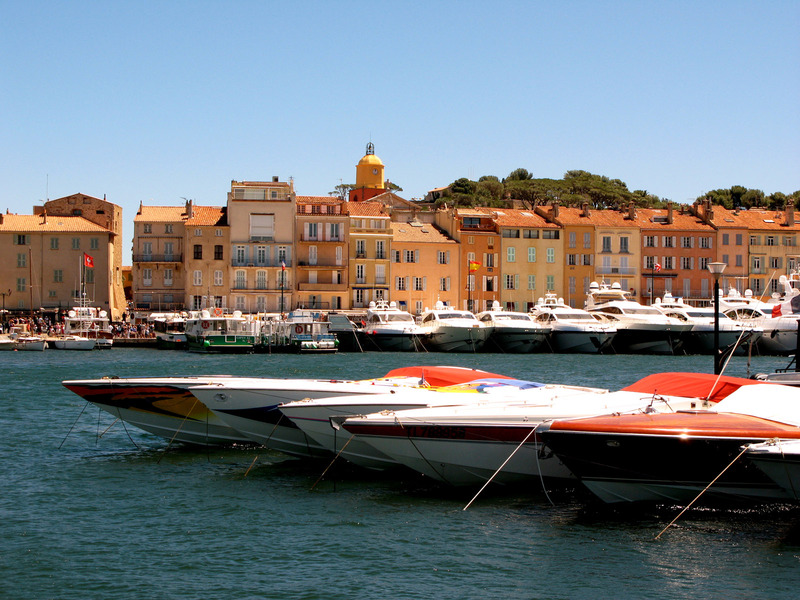 Tropez>Cannes>Nice. That's a whole trip in itself. Should we just wing it? Go where we feel and just book hotels with availability? Should we travel with friends? Okay, so maybe I just have 6 major questions right now. I can smell the garlic and olive oil already. The Stallion has family in Italy. I have a friend that just moved to Italy. Our great friends at Bella Napoli could get us some connections as well, I'm sure. We're set up pretty well to have a phenomenal time in this country. I've said it before, and I'll say it again: I love Italian food. And Italian men. I spent high school and college studying this language and culture, and it's high time I experienced it. The Stallion is weary of France because he doesn't want to be treated like American garbage, so maybe we only spend a day or two in Paris, I'll do all the talking, and then meander our way toward Italy. 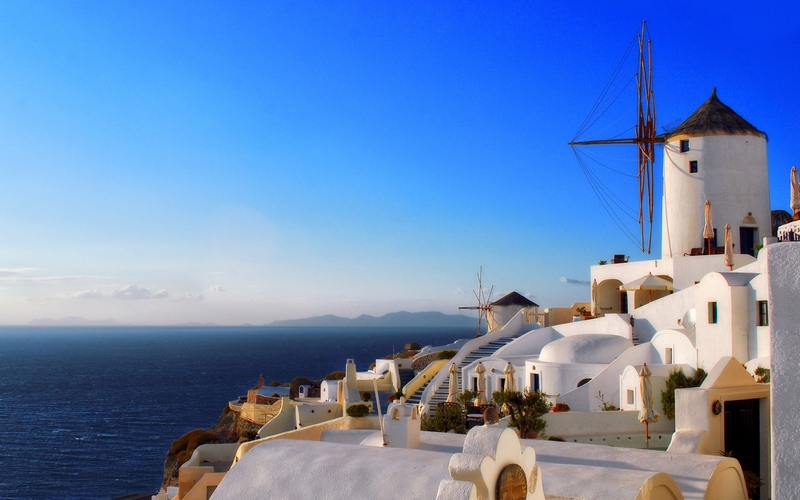 My mother instilled her infatuation with the white buildings and blue seas of Santorini in me. Plus, I think it will be a good relief from typical European buildings and scenery. and what about Spain? I'm sure it's a lovely country, I've just never known much of their culture. I'd love your help planning our trip - any suggestions, wisdom, links would be much appreciated! Best. Idea. Ever. Josh and I had the same mindset and last year, we went on a two week trip around Europe (Amsterdam, Paris, Switzerland and Prague). We hadn't traveled as a couple since our honeymoon and I would say that the trip to Europe far surpassed it. I could talk endlessly about my love affair for Prague. I highly recommend it because it is BEAUTIFUL, rich in history and cheap. We figured out things that we wanted to do in each city and then planned the trip so we would have enough time in each city to see everything. We booked all our hotels and trains ahead of time which allowed me to enjoy our trip because we weren't figuring it out while we were there. I have lots of books and research and itineraries if you want anything. Everyone that I've talked to that has been to Prague literally cannot stop gushing about it. I'd love anything you have that you think might be helpful - just send them home with my husband. 12 years ago my husband and I made this trip (the last adventure before kids). We went to Tuscany. It was well beyond all expectations...Do not go in the summer with all of the other tourists...Sept/Oct or Late April/Early May (I would apply this to any European destination you choose). If you do go to Tuscany the Banfi Wine tour and tasting lunch is not to be missed. La Saracina a B&B in Tuscany is also AMAZING. With your husband's relatives to add dimension and insider knowledge you would have an amazing time in Italy. Thank you so much for some great advice! Sounds like you and your husband had a great time. Venice is pretty amazing as well! Whichever country you go to DON'T go in june, july and start of august. Too many tourists already, and the weather is probably not good in most European countries anyways till august or september. If you've never been to Europe before, you must go to Italy and France. Prague is a very beautiful old city with lots of great architecture and culture. London is a great city, there's so much to do here (I'm currently living in London and I love it here). Amsterdam is nice, but I would recommend spending time and money elsewhere instead. If it were up to me, I would pick Italy or France or both - the major cities and the countryside. Just make sure to spend some time figuring out which regions of Italy and France interest you the most since they are widely different in cuisine, sightseeing and culture. Main problem with Europe is that most countries don't have great English speaking skills, and locals will often refuse to speak English to you, even if you need directions. If you are up for it, you can actually get something called InterRail, where you buy one ticket that lasts for unlimited train rides for a month and is valid in 30 different European countries. I can also recommend the website tripadvisor.com (if you don't already know it) for hotels and booking. Hope that helps a little! 5)Take the trains 6)Hang out in cafes and meet the locals7)Shop and cook your own meals in your apartment8)Do plan for @ least 3 weeks,do not count travel days as true vacation time 9)Paris,Florence and Venice Rome are the best Stay 2 least 3- 4 days in Venice,@ least 5 days in Rome,1 week in Paris(you must experience Paris!) Stay outside of Florence and take the train or bus into Florence do not drive a car in these large cities (just a nightmare!) Ask about a tuscan chef to come to your apartment rental to cook a Tuscan supper for you...Wow,just the best and not expensive.Do check out VRBO and Paris Perfect for rentals. We always rent from these and have had fantastic experiences. Do a lot of research on the net and e-mail a lot! Have a wonderful journey..do not wear tennis shoes,baseball hats and cargo shorts. Wear lots of black and do not speak in a typical loud US voice.Check the train schedules all the time ,they change on a dime.Do not overpack,I mean it,this is just an awful experience. Your apartment will most often have combo washer/dryer .Use it often.Buy lots of scarves,especially in Florence. Eat a Bistecca steak in Florence!Italy is fabulous in late October and early november. No tourist,great weather and much better prices. Do be most polite when asking for a better rental price,especially for a two week stay or longer. We always rent an apartment for at least two weeks and travel out to other destinations taking trains,retail car or a bus for shorter distances(day trips).Slow travel is the only way my husband and I travel.We are not into the list of places we have been too,we would rather be able to emerse ourselves into the culture and people and feel like we are a part of it all. Oh,really the biggest rumor about France(i.e. Paris) is that they are rude to Americans. Please this is just ridiculous! If you dress like a tacky American tourist,speak with a loud voice,make absolutely no effort to learn a few key phrases and expect to be treated rudely you will most definitely will have a typical American tourist experience. 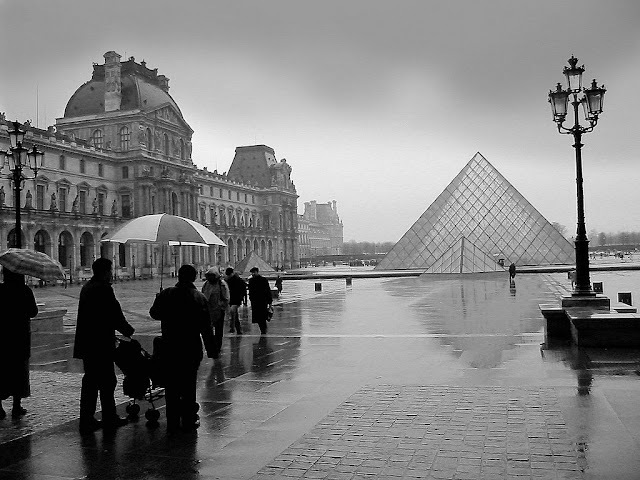 We just adore France,adore the french people and love Parisians. It's all in your attitude,not theirs.Do not be fooled,if you are polite and have good manners you will have a great experience most of the time, remember there are a lot of rude Americans too!If you can not respect a different culture and read as much as you can about the people and their customs and ways my best advice is to stay in the Us.Actually,we found the Italians a bit more difficult than the french. The Italians are in no hurry,be prepared to wait in lines or wait for anything.And I do mean wait.,They also change schedules and anything else without moments notice.Read as much as you can about the country and it's people and customs as you can.It will all be appreciated and you will have a much more authentic travel experience.Be polite and have fun. 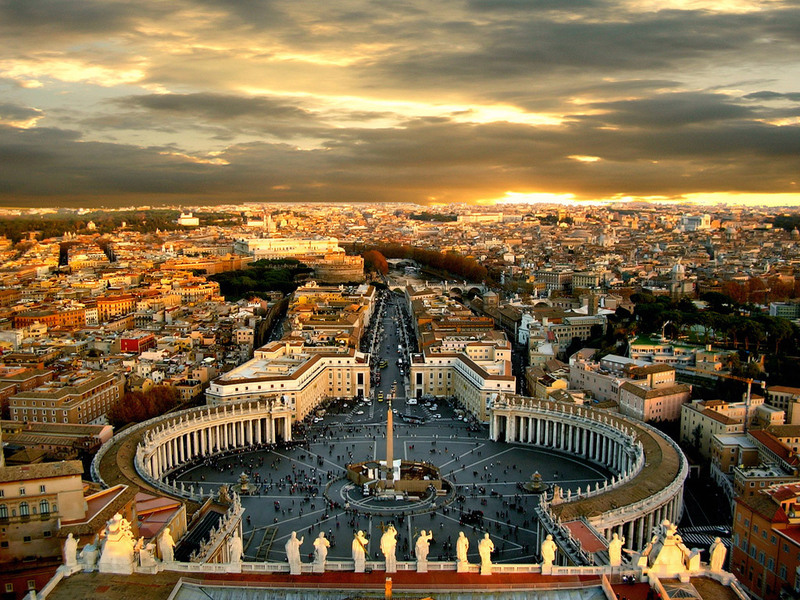 Go to Paris and Florence,Rome and Venice is not to be missed! Thanks so much for all of the awesome, detailed advice! You should ask your friend if he/she wants to meet you somewhere in Europe! Travelling around Europe is relatively cheap.